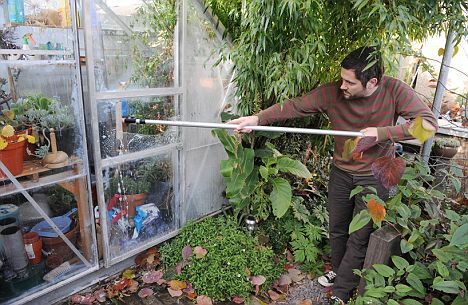 Martyn Cox feature on cleaning, insulating and heating greenhouses. We are re-opening to the public on Tuesday, September 8th at 11am! Everyone is welcome to come and enjoy the space weekdays between 11am – 5pm, September – April. To prepare the space for our community, we want to give the Concordia Greenhouse a good clean. Do you have an hour or two free to lend us a hand? We welcome all staff, board members, interns, new and old volunteers to join us to help beautify the Greenhouse, with music, free food and good folks! PLUS! A reminder that the deadline for internship applications close on August 24th and September 4th. Previous PostCity Farm School – August Photo Blog!Next PostWe are RE-OPENING on September 8th!